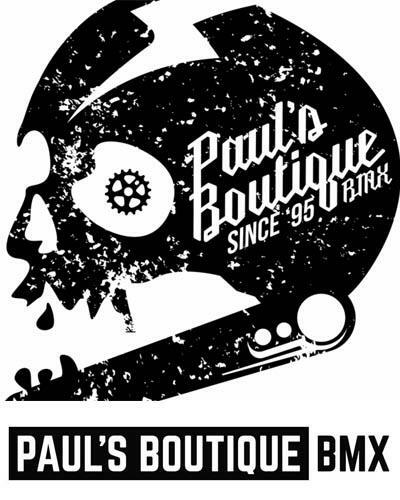 More and more artists are being asked to do designs for BMX related companies. When you are designing 4 complete lines of shoes per year, you can use some outside help too. Enter Greg "pnut" Galinsky, an artist who currently resides in San Francisco. Greg's 1971 Gallery brand continues to explore clothing and product design and telling from the special edition Vans Vault line he designed his popularity will continue to grown. GG grew up near the ocean and skate parks of Santa Monica and is inspired by reggae, hip-hop, jazz and funk. Son of a Burmese mother and a Lithuanian father his diverse upbringing has lead to different techniques that strive for a spirit of all that he loves in each work. See the designs he came up with for the Vans Vault line.Collectors items maybe? For you who don't know what Vans Syndicate is about, It is the very exclusive and elite side of the well known Vans shoe brand that collaborates with the most anticipated artists and brands around the world, as well as taking the well known classic styles and executing them in high end materials. This show was the launch of a new season and it got people talking...the minute they stepped into the Meltdown Gallery in Los Angeles. As usual the complete set up was done with absolute perfection. Japan is one of the cleanest countries on earth. We've noticed that while just walking the streets. The only thing that the cleaning crew has to pick up are the cigarette buds that do not make it to the trash on accident. With a close eye we noticed some street art that doesn't really fit the city but it's out there. Tags, stickers, pieces, all that stuff. We took some shots of what we saw for you to check out. 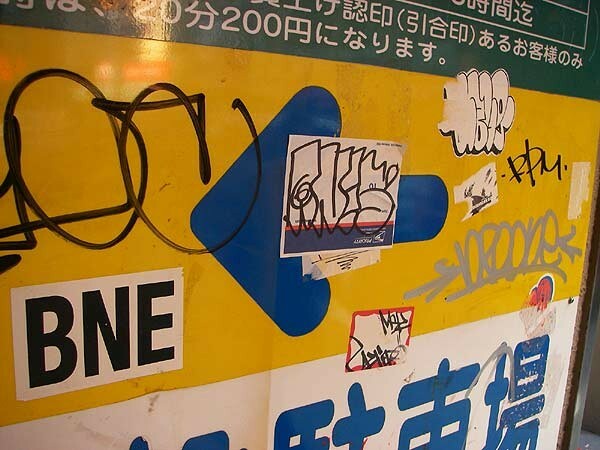 Tokyo is a clean city but there is some ghetto art out there. Enjoy. 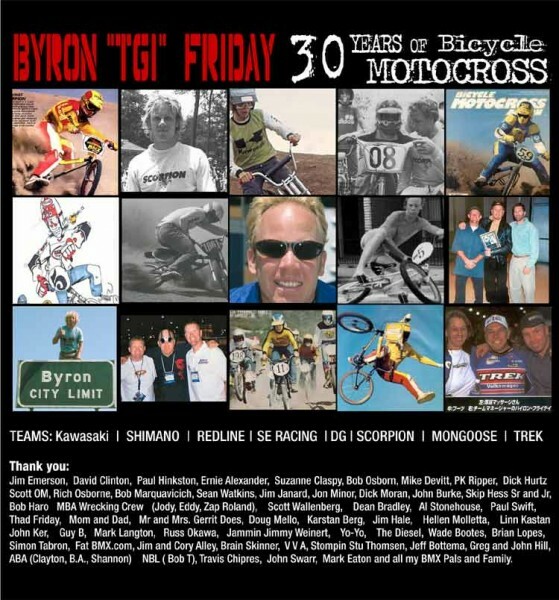 Byron Friday is one of the riders from the old school. He rode for Kawasaki's BMX team so if that isn't an indication of his roots in BMX we don't know what is. Byron's 30 years of BMX participation got him thinking. 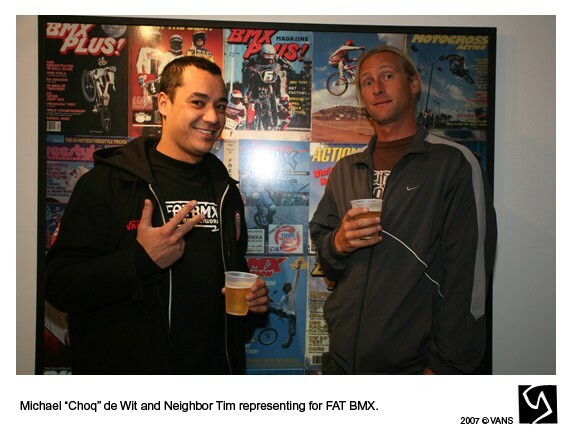 He thought the Joe Kid on a Stingray movie left out a few people who needed mentioning so he made an old school BMX collage with a few thank-you's at the bottom. Check out those pics, they tell a story or two. Andy Jenkins, Tony Larson and Andy Mueller are showing "Taking Turns" at the Monster Children Gallery in Sydney, Australia starting this Thursday night. 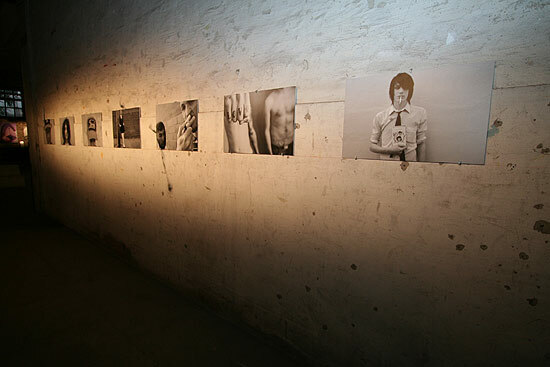 The work is a series of collection small and large digital monoprints, plus a salon-styled wall of hands-on work done specifically for the exhibition. Opening on the 11th from 7pm for anyone in Sydney. Show goes from 12 - 27 January 2007. Check their Art Dump blog for current updates of progress. 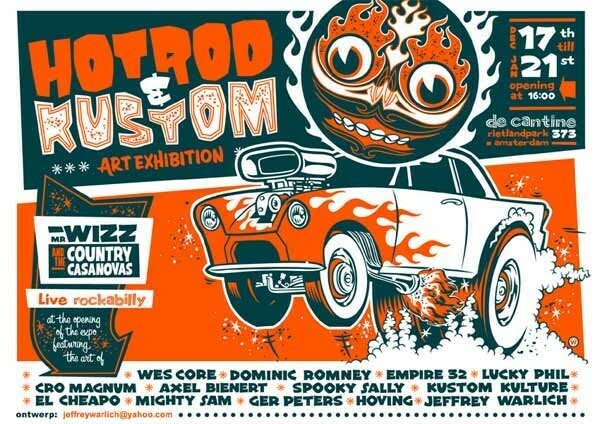 De Cantine in Amsterdam is currently hosting a Hotrod & Kustom art exhibition that will go through 21 January 2007. Work from the following artists are on display: Hoving, Kustom Kulture, Lucky Phil, Wes Core, Mighty Sam, El Cheapo, Jeffrey Warlich, Cro Magnum, Axel Bienert and Empire 52. Address: De Cantine, Rietlandpark 373, Amsterdam, Netherlands. Bike Furniture. It does exist. 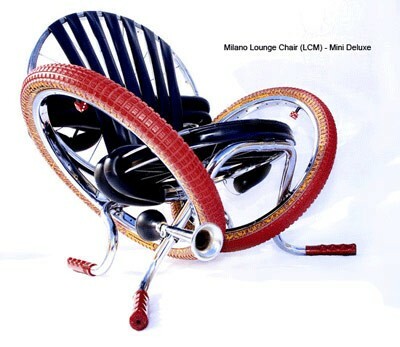 Yasu sent us this link about Bike Furniture. It's got bike parts collected since 1990 that got turned into chairs, mirrors, coat hangers, that kind of stuff. If you think they've only got a few products to offer, you should visit the site and be surprised. Some of it is a bit loopy but some of it is pretty cool. It's hard to judge how comfy the chairs are from looking at the photos but if you're into this, that doesn't really matter. Andy Jenkins is having a 15% off on all the new paintings featured on his Bend Press site . And 15% off all the available Wrench Pilot originals. Oh, and the prints, notebooks and all that. Everything is 15% off until November 27th. Also, he'll be adding a few new pieces over the next week, so be sure to surf by on occasion and browse. Wrench Pilot was drawn by Mel Bend and published by Transworld Skateboarding magazine from 1989 through 1991. It was originally concepted as a piece for Thrasher Comics, but was rejected for reasons unknown. 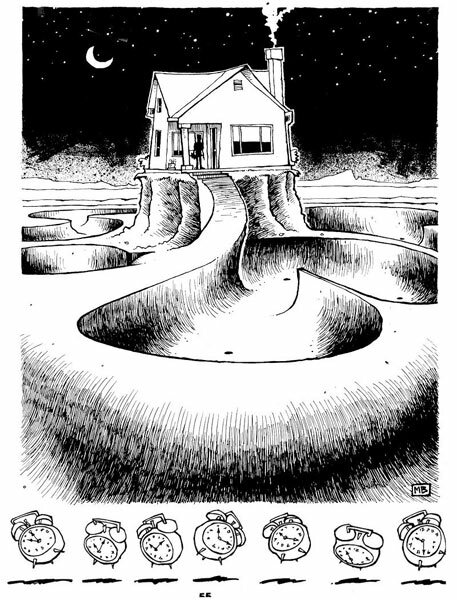 Transworld published 23 episodes of Wrench Pilot, before Bend stopped drawing it. The comic made a brief comeback (#24) in the first issue of the rejuvinated Skateboarder Magazine in 2001 and again (#25) in 2004 for the Lakai Footwear company. DJ Charm will be spinning the wheels of steel at the opening of the Funky Madness art expo at Gallery Beddekoetsje in Helmond, NL. 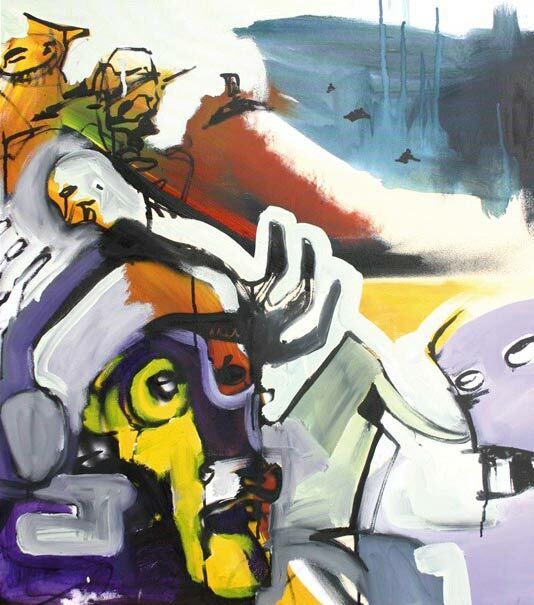 The opening date is 29 October 2006 and the art show (mixed skills on canvas) goes on from 29 October - 3 December. Opening hours are on Sundays between 2pm and 5pm. SOAQ - Whatz da going on?